On the 5th of September, the Startupbootcamp FinTech & CyberSecurity program welcomes you in Moscow for a FastTrack day as part of its international tour to support the area’s best talents in FinTech & CyberSecurity. The 10 most promising startups selected from all applications will be able to present their idea, receive 1-on-1 mentor feedback, learn about the program, and network with fellow entrepreneurs from the local ecosystem. 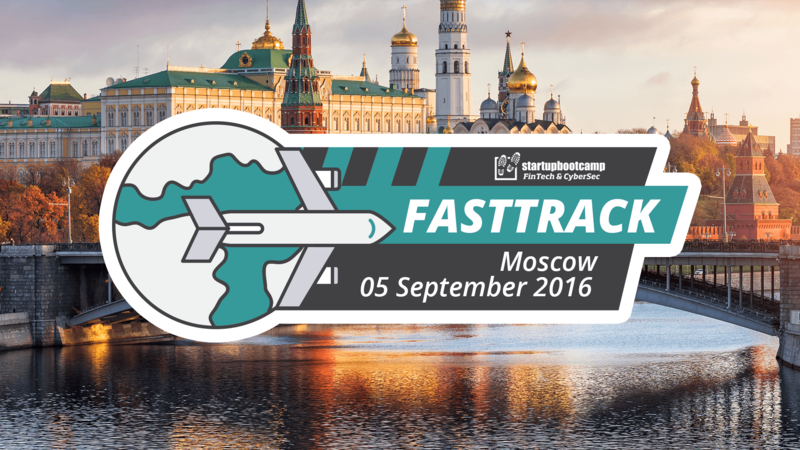 If you’re a Russian startup or can easily reach Moscow to meet our team, we encourage you to apply now. With only 10 spots available for the day, the earlier you apply the higher your chances are of attending the event! You can read more about the industries we are focusing on here. The experience is extremely valuable for everyone attending: teams learn from their personalized feedback as well as from feedback that other teams receive. As the event is informal, you will also have the chance to connect with the mentors and other participating teams from the local ecosystem. If your team is especially flying in to pitch, you can of course request an early evaluation, and if you have any questions about the Startupbootcamp FastTrack, feel free to drop us a line at telma@startupbootcamp.org.